India vs Sri Lanka Live Streaming: Today, it’s IND vs SL T20 Live Cricket Score. today match predictions. It’s game number 4 in the 5-match one-day series to be played in Colombo. After whitewashing in the test series, India has won the first three ODI matches. The men in blue seem to be in good form and on a winning streak. If SriLanka wants to survive in the last two games, they will have to play a lot and better cricket. They have shown their potential but couldn’t continue throughout the match. The men in blue are going to test their bench strength as they haven’t made any changes in the playing lineup of the last game. It won’t matter as they have already won the series. If SriLanka wants to qualify for the 2019 World Cup, they will have to win next two matches at any cost. Else their qualification will become difficult. It’s already endangered. The SriLanka skipper Tharanga is banned for two games and it’s the second one, so Lasith Malinga will be the interim captain for the fourth ODI. Shikhar Dhawan and Rohit Sharma opened, but Dhawan lost his wicket with a score of four. Kohli won the toss and elected to bat first. It’s the debut match for Shardul Thakur (India) and Dilshan Munaweera and Malinda Pushpakumara from Sri Lanka. Former skipper of India, MS Dhoni is on the verge to set up two world records, one with gloves and one with the bat. With two 2 more stumps, he will be the first wicketkeeper to reach the three digit mark. So far, Dhoni has played 72 not out innings. One more unbeaten inning and he will have the most number of unbeaten innings to his name. The fourth ODI is to be played today at 2:30 pm IST. The live telecast is on Sony Six, Sony LIV, Ten 3, and other channels of the network. 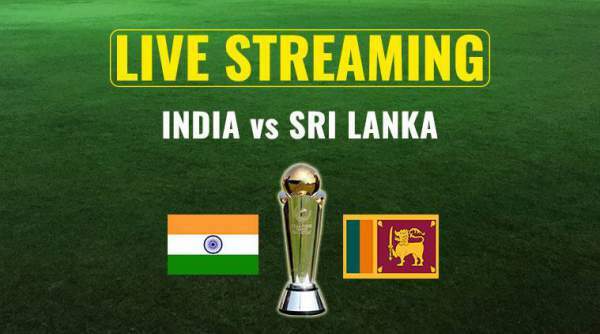 And IND vs SL live streaming is on Hotstar live cricket, www.sonyliv.com, some other stream sites. The match is scheduled for R.Premadasa Stadium. It’s the 300th ODI of Dhoni. India should win, keeping the trends and past records in consideration. Come back for India vs Sri Lanka live streaming, 4th ODI IND vs SL live cricket score, commentary, ball by ball updates, match result, video highlights, scorecard, and much more.